Everyone knows the consequences and ramifications when a top star's film turns out to be a huge disaster. It was proven many times and now people are witnessing the shocking developments after the debacle result of mega power star Ram Charan-Boyapati Srinu's Vinaya Vidheya Rama. Rumors are not dying down that things flared up between producer DVV Danayya and director Boyapati Srinu even as buyers suffered losses ranging to Rs 30crs. 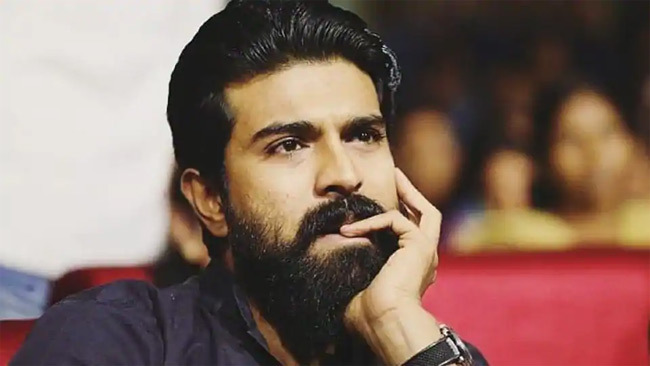 Latest we heard is that Ram Charan promised buyers of VVR to favor them with his dad mega star Chiranjeevi's upcoming project with Trivikram Srinivas. This may look strange and surprise all as Danayya is already producing Ram Charan's multi starrer RRR with NTR under Rajamouli's direction. If Cherry planned to help, he could easily do so with RRR. After Sye Raa, Chiranjeevi will get ready for his next with Koratala Siva. Trivikram too is having other commitments. He is directing Allu Arjun and Venkatesh in his next projects. So it may take another three years for Chiranjeevi-Trivikram's project to go to sets. Till that time buyers should suffer Vinaya Vidheya Rama losses and this seems illogical.